"This quiet, reflective, and beautiful photo-essay is a love poem, a gentle evocation, and a heartfelt appreciation of Sandia Peak, a mountain the author and photographer have lived near and been nurtured by for many years." "It's high time a book such as this was written. Ruth Rudner does an exemplary job of bringing into focus the conflict and resolution of the nearly 270-year-long saga of the mountain held sacred by the original inhabitants of the Rio Grande Valley who regarded Sandia as their mountain and the more recent residents of the valley who consider the Sandia Mountains the soul of Albuquerque and a part of the fabric of their life. It is also a personal narrative and a good read. Add to that the incomparable images by David Muench. Anytime David Muench releases the shutter is cause for celebration! His photographs evoke the mood, personality, and beauty of the mountain known as Sandia." This portrait of Sandia, the mountain backdrop that dwarfs Albuquerque's sprawl, offers a sense of place through the eyes of a photographer and the words of a writer. 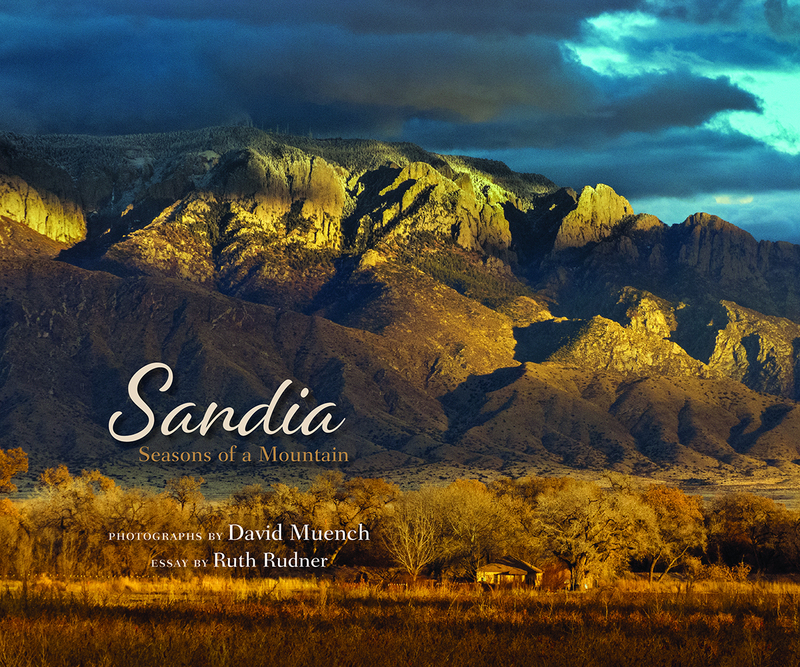 Fascinated by Sandia, by the light of its dawn and sunsets, by its seasons, by the power of its altitude, photographer David Muench shows us a brilliant autumn, the sparkle of snow, an April explosion of cactus blooms, a summer summit garden of wildflowers, the marvel of the mountain's rock forms.